The Glockenklang 6-Box 5.3 Ohm Bass Guitar Amplifier Speaker Cabinet has been designed to be the perfect complement to the brands Heart-Rock II amp head. 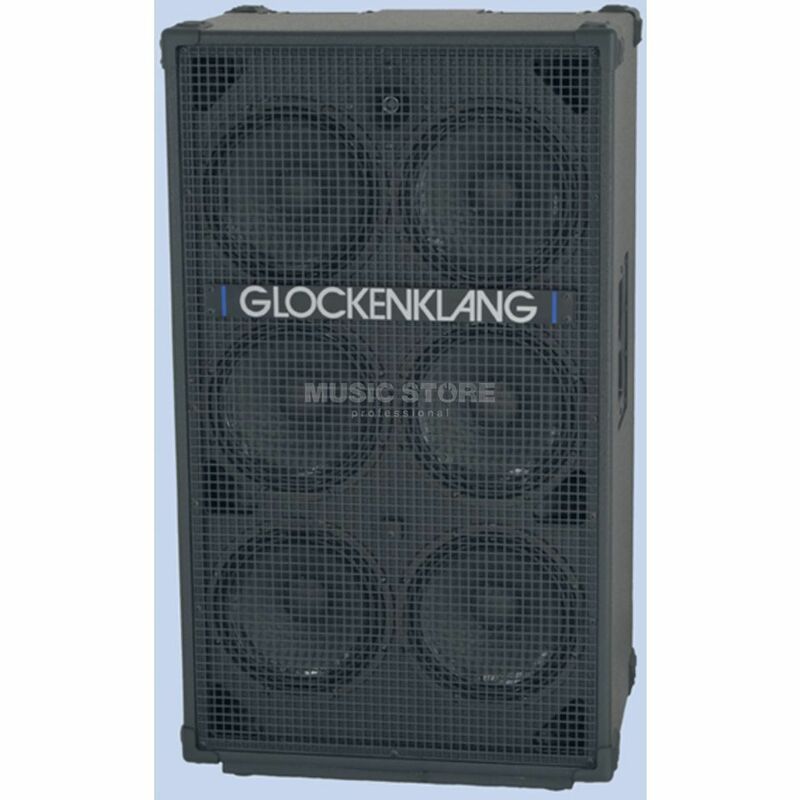 The Glockenklang 6-Box is equipped with a set of six 10” speakers that have been specially developed for use in this cab by the English company Volt. These speakers feature outstanding sensitivity and low-end response and are rated to handle 1,200 watts at 5.3 Ohms. They are accompanied by a single adjustable tweeter with a custom crossover that allows for the perfect level of high-frequencies to be easily dialled in. The speakers of the Glockenklang 6-Box are housed in a heavy-duty Birch ply cabinet that is finished with a durable epoxy coating and is lined internally with studio-grade acoustic foam. This setup stops unwanted tones and frequencies from escaping the cabinet and results in a much more focussed output. The cabinet is equipped with a pair of durable casters and top-mounted handles that allow for easy transportation.